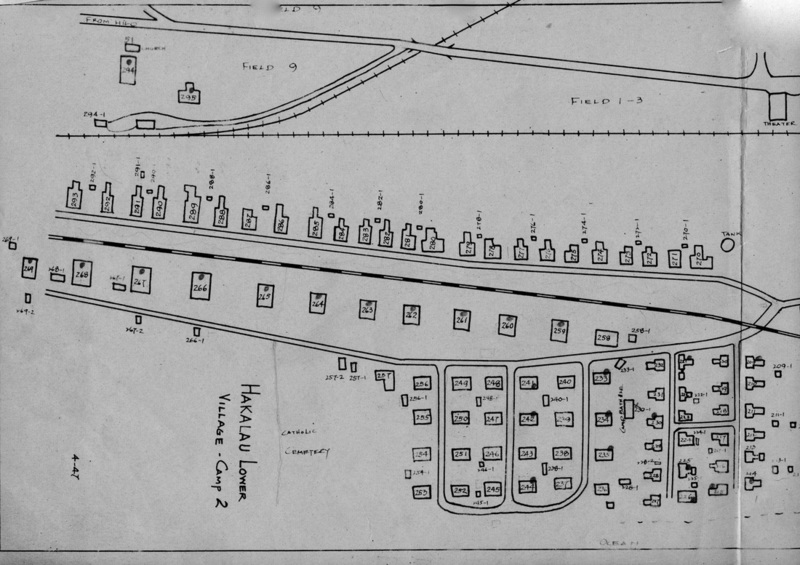 Camp size: It was the largest of the camps and included about 90 dwellings. It was called “Lower or Down Camp” by those who lived here, and “Mill Camp” by others. These residents each had specific skills for various plantation jobs, both union and non-union. By the early 1960’s, where were mix of Filipinos, Portuguese and others with the predominant Japanese residents. As the Chin Chuck and Kamaee Camps were being emptied during this period, a number of those residents moved to this camp. As with other camps, many who lived here raised their own vegetables in gardens assigned to them or in their backyards. Some also raised chickens, fighting chickens, ducks, pigs, and cattle. 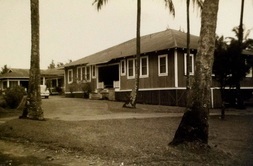 Adjacent to it were buildings for plantation operations such as the main office, warehouses, stable, lumberyard, gas station, repair shops, and hospital. 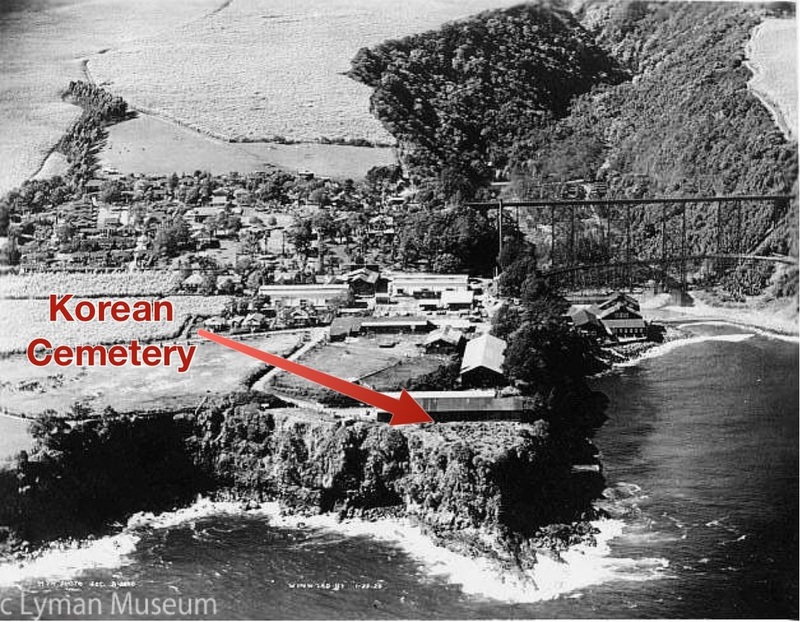 Three cemeteries were located in this area, near the cliff at the ocean’s edge: one for Koreans (next to the stables), one mainly for Japanese, and a third mostly for Catholics. Click here to view information regarding camp cemeteries.